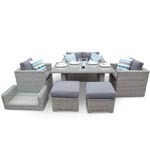 Luckily, our rattan garden furniture sets are designed to require little to no maintenance and are incredibly quick and easy to wash. 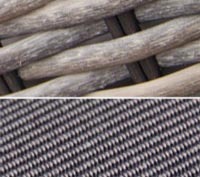 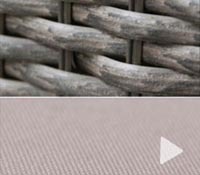 The materials we use on our rattan garden furniture sets are especially developed and chosen to ensure easy care and maintenance. 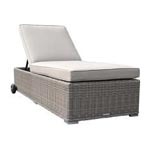 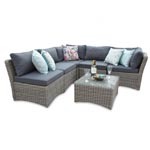 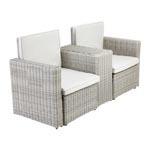 PE rattan is a synthetic type of rattan which means that you don’t need to worry about it fading away or cracking when you wash it and the aluminium frame is also rust free. 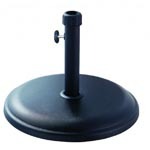 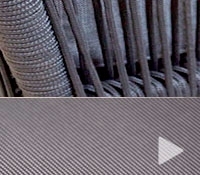 - Brush any large debris or dirt away using a non-abrasive brush. 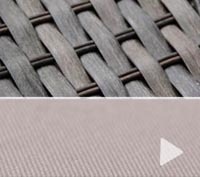 - For more stubborn dirt, simply take a hose or pressure washer and give it a quick wash. - Also, another tip is to wash your set on a windy day so that it dries out quicker. 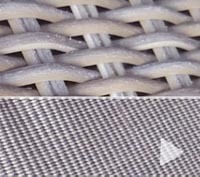 - If you notice a build up in stubborn dirt just mix a bit of mild detergent with water and use it in the areas you need. 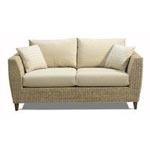 - To clean the cushions, simply take the cushion covers and put them in the washing machine on a delicate wash. Don’t forget to check the labels for washing instructions. 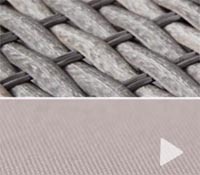 After that, simply hang them out to dry and you’re done! 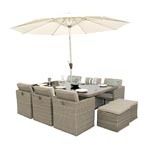 Also, make sure everything is dry before you put the cushions back on your garden furniture set. 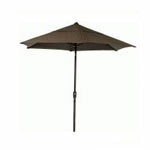 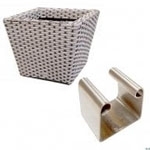 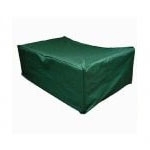 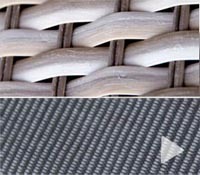 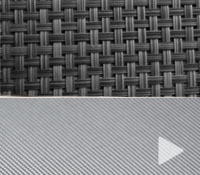 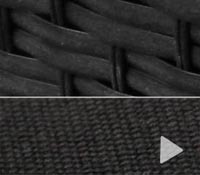 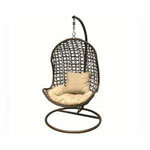 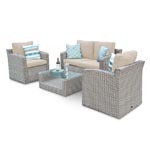 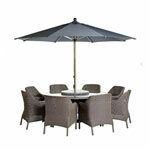 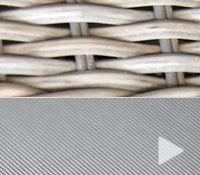 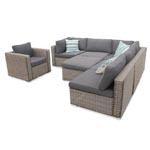 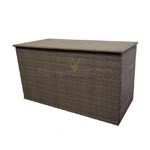 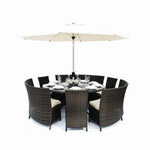 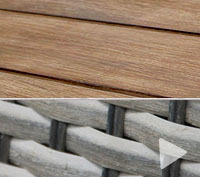 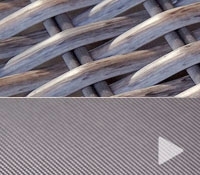 For more information, have a look at our Rattan Care and Maintenance page. 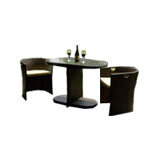 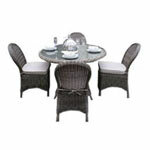 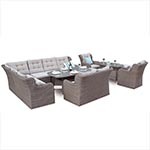 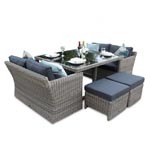 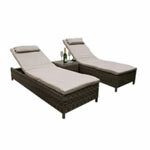 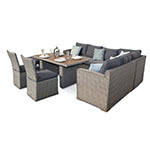 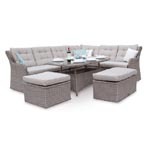 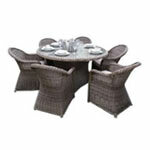 For more persistent stains or general queries on how to care for your rattan garden furniture set contact us!